Man United overturned a two-goal deficit against Newcastle United to grab victory as they rallied at Old Trafford in the second half. This broke a winless run of 4 games for them but is also being considered as Mourinho's final game at the club. According to reports, the Portuguese manager was to be sacked in spite of the result against Newcastle. While he still is at the club at the time of writing, that may not be the case for too long. 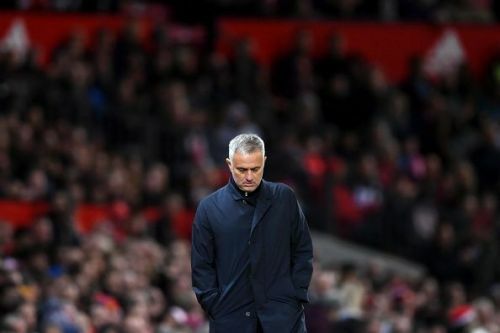 Whatever remains the case at the Manchester club, one thing is by far evident that post Ferguson era, the team has been on a downward spiral and have never truly recovered. Three managers have followed the great Scotsman and have failed to deliver the Premier League title- a competition that the club has dominated since its inception. Jose Mourinho came at the club with a reputation of being a serial trophy winner while also known for his defensive tactical style of play and his combative attitude in general with the players and the press. If this indeed happens to be the end of his career at the club, it will definitely be on an underwhelming note. The question, however, is that would it be right to attest on him the current problems that the club is facing? Here are 4 reasons why that should not be the case. Perisisc was just one of the many players that Mourinho wanted but never got. Jose Mourinho as we know has a very distinct style of play, which demands players of a certain style that fit into his system. So it was obvious that he would be turning the squad inside out upon his arrival. He got Pogba, Ibrahimovich Bailly and Mkhitaryan to kick off his first season which was good enough to land the team a Europa League championship. The problems began in the second season. It was painfully evident that the team needed a natural winger in the side, someone who could be the creative force from out wide, someone like Ivan Perisic, who Mourinho reportedly wanted to be at the club. The transfer didn't go through much to the ire of the manager as the United board refused to pay the asking sum for the Croatian. As a result, Man United lacked a much needed creative force from the wings and could not compete with the likes of Man City in terms of attacking capability. This was nothing compared to what happened this season. After grabbing midfielder Fred early on, Mourinho stated the need for two more signings. One being crucial in the form of a center back. As a result, the club was involved in one transfer saga after another being linked to every big name defender imaginable. In the end, spectacularly they failed to sign anyone, leaving the manager fuming. It has proved a big blunder as evident after the season began that how much the team needed a quality defender among their ranks, shipping in goals after goals, after being the second best defence in the league last season.